Happy Summertime! Hope you’re enjoying some much deserved outdoor time with family and friends venturing in the GREAT outdoors! We’re definitely soaking up and savoring summer and heading into the mountains for camping getaways! 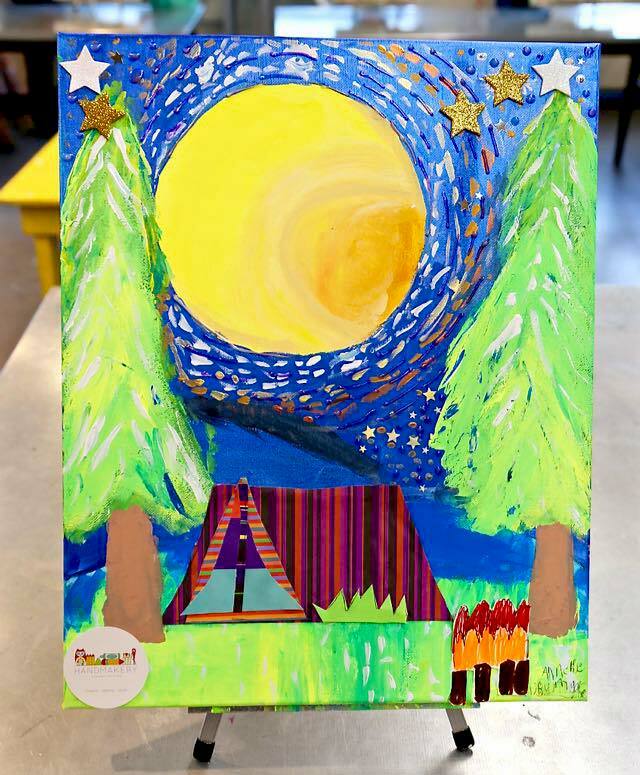 Excited to share with you these outdoor + camping + canvas + landscape paintings created in our recent children’s workshop, SPRING IS IN THE AiRTIST! This mixed-media painting was inspired by one of our favorite wanderlust painters, Katie Daisy and her beautiful piece, Let’s Sleep Under the Stars! 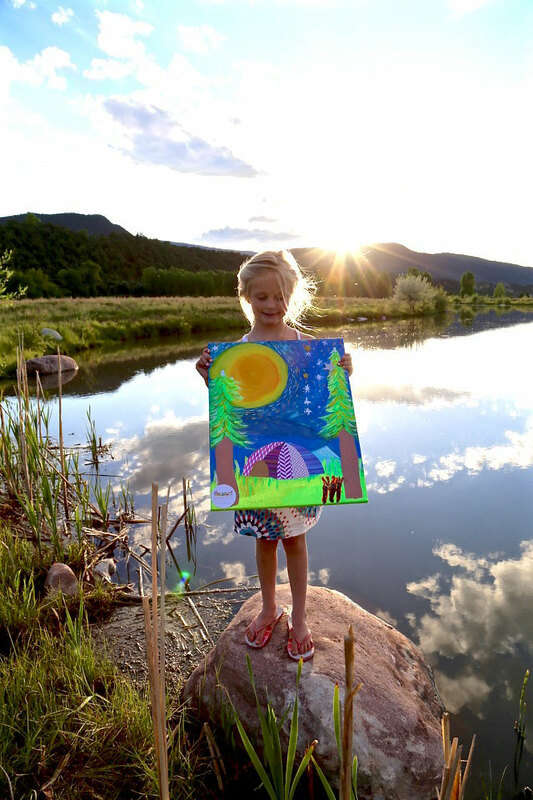 Take a peek at Katie’s inspiring paintings and our painting process with children! Thank you @katiedaisy for your painterly inspiration, adore your style, whimsical spirit, and passion for the outdoors!